Three months after reopening following extensive damage from the category five Hurricane Maria, H.H.V Whitchurch IGA Super-centre has launched what it calls the Essential Services Discount Programme. "During this independence season we saw it fit to give back in any way that we can and we decided to offer a discount to members of these essential services who continue to serve their country tirelessness despite all odds, particularly after what we went through last year," said Whitchurch marketing manager Michelle Joseph at a press conference last week at the company's meeting room. Joseph said police and fire officers, nurses and teachers are to receive discounts off purchases at the Super-centre, the company's way of recognizing the efforts of personnel from these essential services. 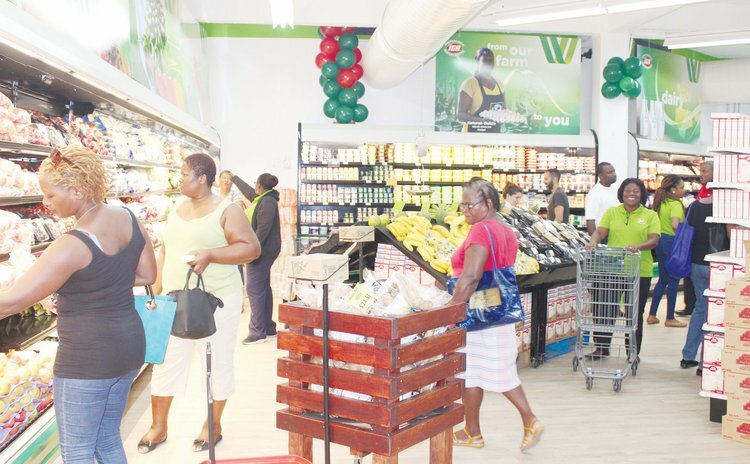 "We dubbed this the Essential Services Discount Programme and what it entails is that all active members who are teachers, nurses, police officers and fire officers will receive five percent off their purchases of a minimum of $100 at the Whitchurch IGA Super-centre," Joseph said. "Individuals who are loyalty customers that will continue. So, it is an added bonus just as a way of saying thank you for what you do on a daily basis and that we, at Whitchurch, appreciate you. As long as the company is in a position to offer those discounts, it will continue to do so". Joseph said Whitchurch IGA Supercentre may extend the discounts to other services. Whitchurch IGA re-opened its doors nearly one year after Hurricane Maria almost crippled the 100 year-old family store. Whitchurch re-opened on Thursday July 19, 2018. "I am relieved and pleased; now the work has begun," said Jason Aird, son of proprietor Gairy Aird at the re-opening. "Ten months and one day after Hurricane Maria we are back...So from there we never looked back, if you look back in life you are not going to go anywhere and hence ten months later, that is the result of the forward vision. We missed the pubic and we are the single largest purchaser of local products". Aird said the reconstruction process cost the company millions and some staff had to be made redundant but many had been rehired.